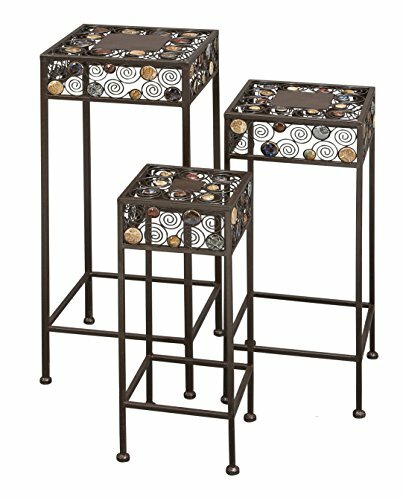 Set of three 28", 24" and 20" updated traditional black iron square plant stands with multi color ceramic beads, beads set into spiral scrollwork tops and sides, banded bases, footed. Suitable to use as a decorative item. Unique home decor. This product is manufactured in China.